Species Description: Koehler J 2009 The identity of Hylambates rufus aubryioides Andersson, 1907 (Anura: Arthroleptidae) from Cameroon. Copeia 2009:57-61. 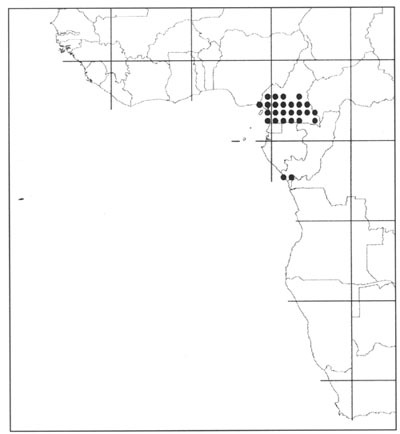 Distribution of Leptopelis omissus. Taken from Schiøtz (1999) Treefrogs of Africa, Edition Chimaira, Frankfurt am Main, with permission.